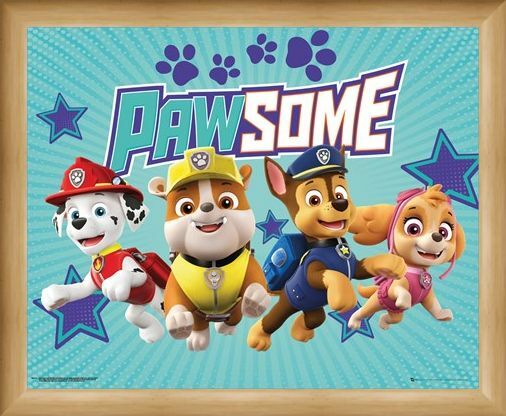 Get ready for some 'Pawsome' fun with the gang as they leap into action ready to save the day! 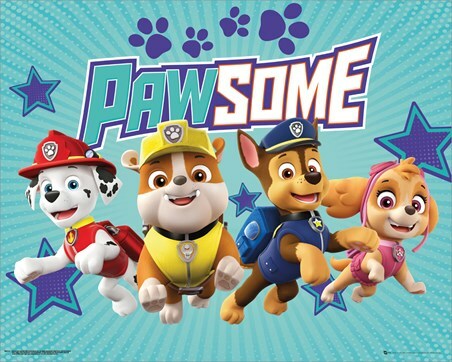 Protecting Adventure Bay each and every day, Rubble, Chase, Skye and Marshall have got their pup packs on and are off to help Ryder once again! 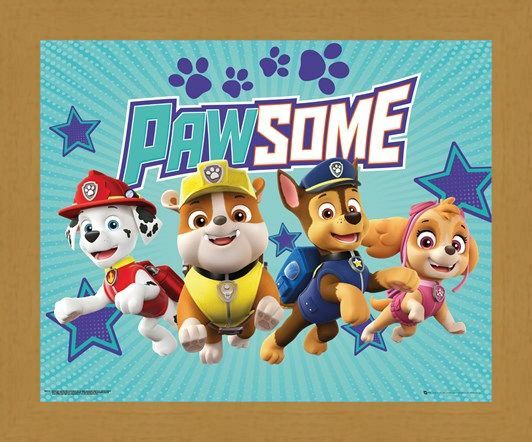 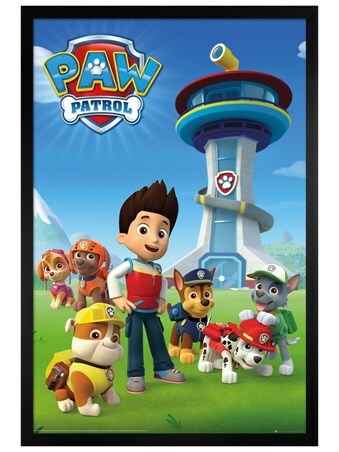 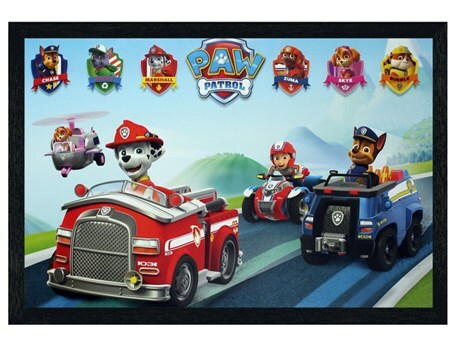 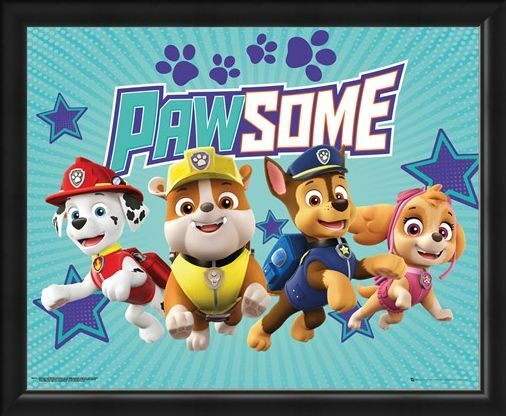 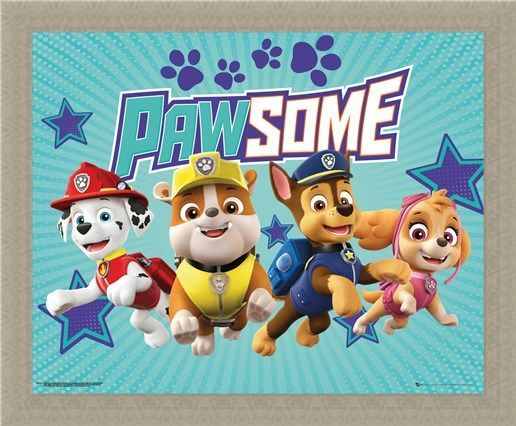 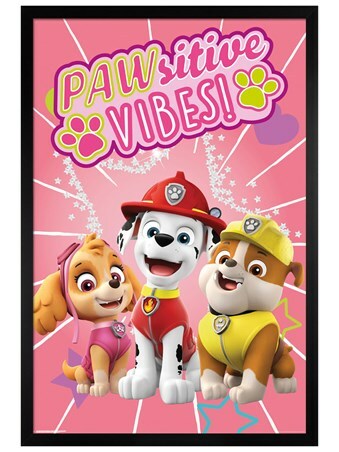 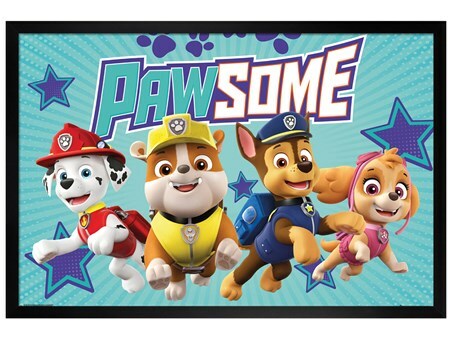 This starry blue mini poster is perfect for any little fan of PAW Patrol and it's resident characters. 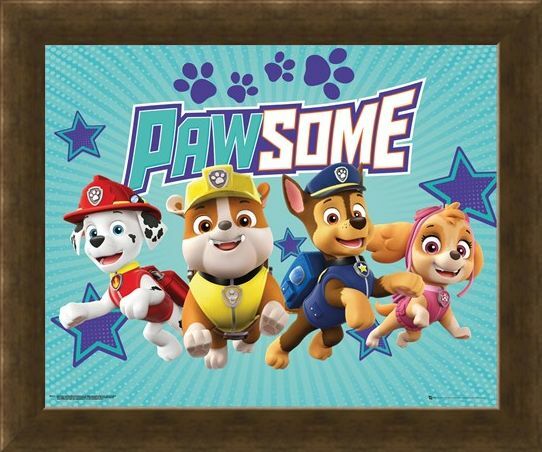 Add the gang to your wall and be a part of the rescue team, they need you! 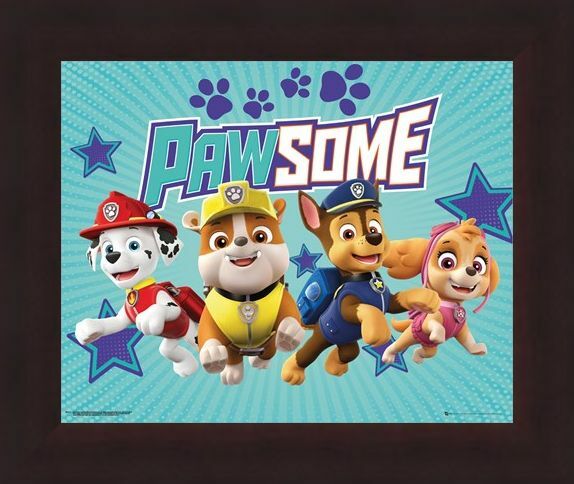 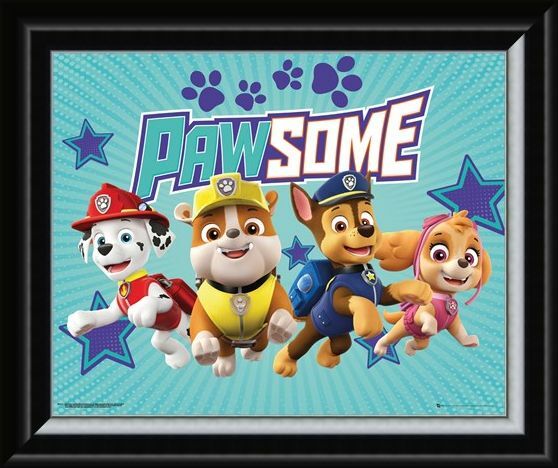 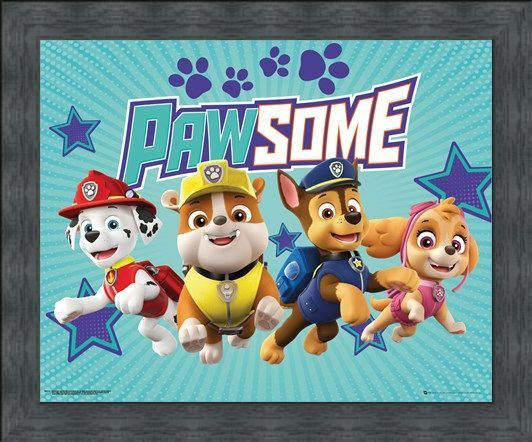 High quality, framed Pawsome, Paw Patrol mini poster with a bespoke frame by our custom framing service.